Take a sip and sport your New York Giants spirit with this New York Giants Stainless Steel Tumbler. 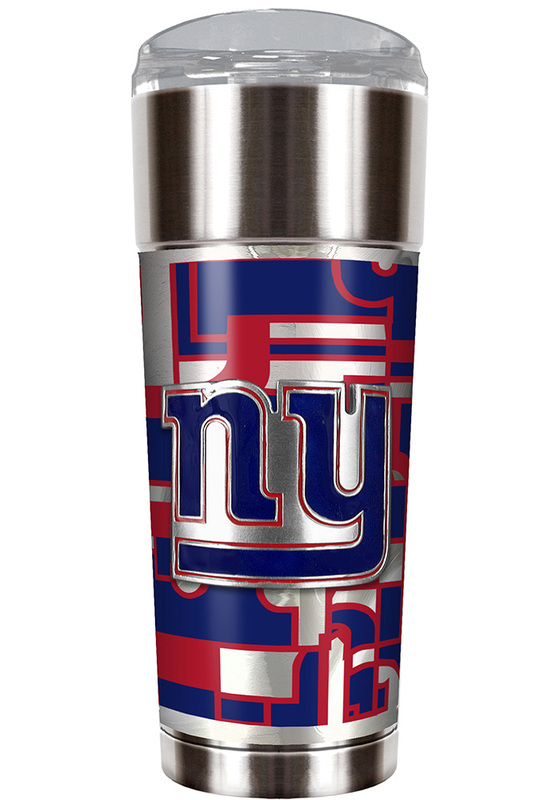 This Stainless Steel Tumbler features a New York Giants Metallic Graphics and 3D Metal emblem. Designed to Lock in Cold for Cold Beverages and Heat for Hot Beverages, the 18/8 Saintless Steel Construction is the highest quality available. This tumbler not only resist damage when dropped, but looks and feels great. Go Giants!